Stan Lee must have felt, and rightly so, incredibly proud of his legacy in his final days. He was the man who helped build the Marvel brand from a little office in New York, transforming it into the global conglomerate that it is today, whilst still retaining the integrity and the purpose of its initial creation. That was, and is, to entertain. 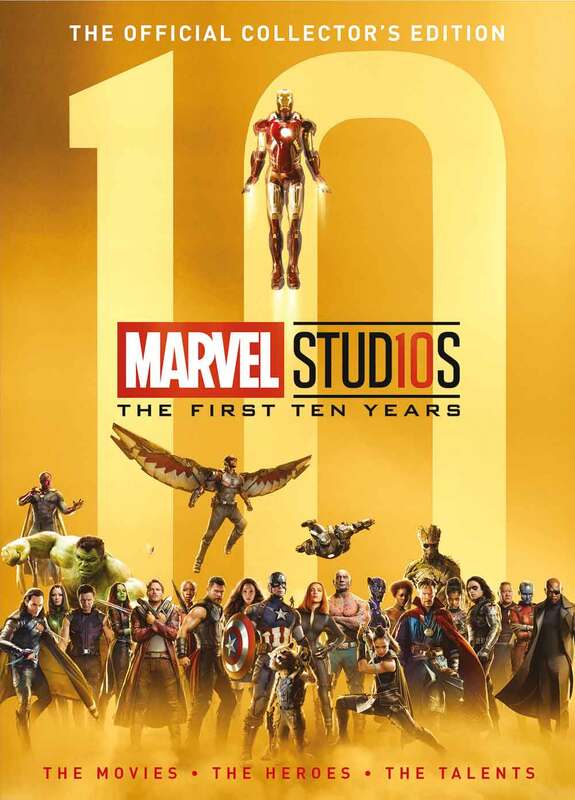 In 2008 Marvel integrated with another global powerhouse in Disney and Marvel Studios was born. A logical step in the evolution of the company long known for its comic book and movie output, the combination of these two household names could, and would, take the movies to the next level. The First Ten Years is a celebration of that collaboration and a nostalgic look at all that it’s achieved since. Every movie from Iron Man to Ant Man and Wasp, are given the once over in glorious detail. Every Easter egg explored and every end credit scene examined all accompanied by stunning photography. There was a time when Black Panther was considered a secondary character, when The Guardians Of The Galaxy were just a side note. Between them they’ve now grossed hundreds of millions of dollars at box office. There was also a time when the three Chris’s (Hemsworth, Evans and Pratt) weren’t household names and this book examines their rise to fame with exclusive interviews with them and with more established names like Robert Downey Jr and Scarlett Johansson. There’s even an interview with the head honchos themselves, Marvel Studios President Kevin Feige and Louis D’Esposito.